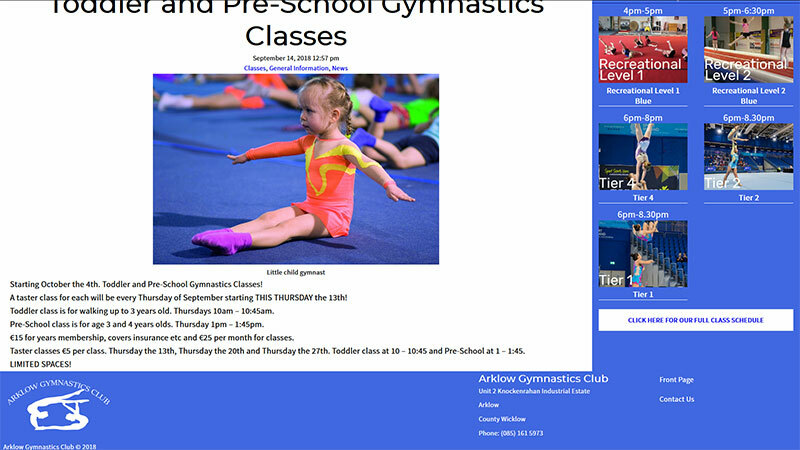 Arklow Gymnastics Club are a gymnastics club in Arklow that has been operating for over 20 years. 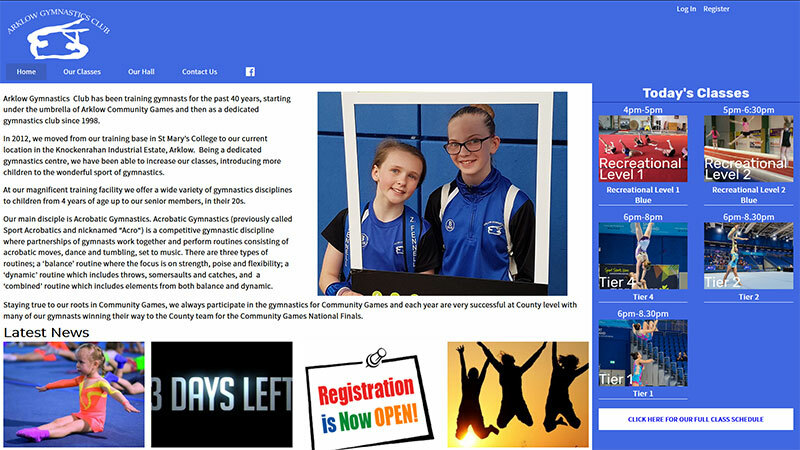 They needed a website that gave class times and a way to contact the club. 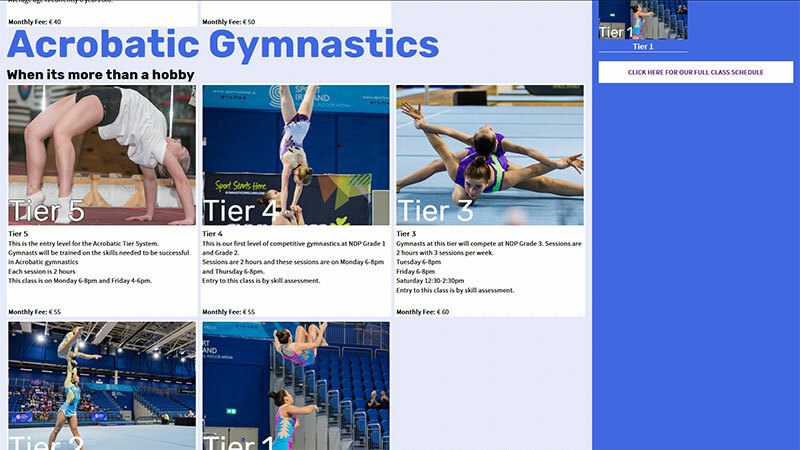 We built a custom responsive website for them, with their class schedule and details being built in wordpress customiser so that when updated they are updated across all of the website.